Fully equipped. Customized with study instead of portside cabin. Additionally equipped with fin stabilizers, hard top, crane on fly, water maker, equipped crew cabin, Carrera white marble in all bathrooms, customized mosaic in master bathroom. White hull. Light grey interior with walnut, mat polished. Reverse cycle airconditioning/heating 106 000 BTU. Suitable for ambient temperature to +400 С. This is also includes outlets and bathrooms. SYS Yacht Sales is pleased to assist you in the purchase of this vessel. 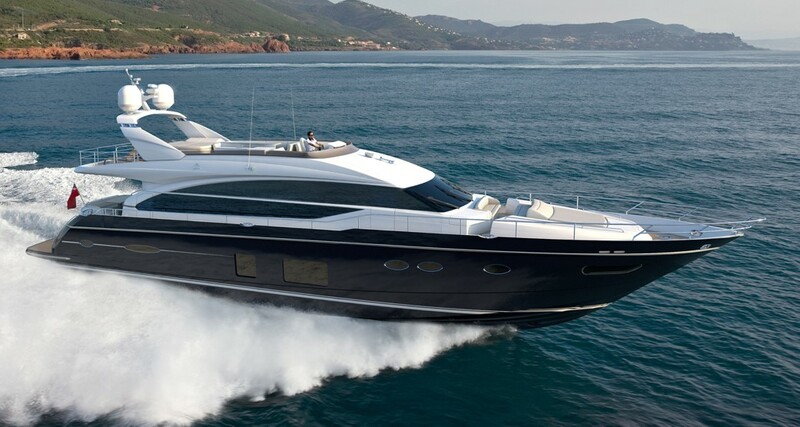 This boat is centrally listed by Jonacor Marine Corporation.